Beware of Pond Predators, They Want Your Fish! Do you have the question like: “What is eating my pond fish?”. Well you are in the right place. Predator prevention is becoming an increasingly important consideration when designing ponds, particularly in rural locations. There are a lot of predators out there that will eat fish given the opportunity. Some people are lucky to live in a nice rural setting, where predators as diverse as herons, mink, otters, and ospreys may take fish. My pond fish have disappeared but we know its not the common pond predators uk. Domestic pets like Cats will take fish although thankfully not common, I have even heard of instances where unscrupulous characters have netted people’s ponds in the dead of night to steal peoples prized koi carp! So prevention is the key to all fish pond protection. Predator prevention is a useful thing to think about, whether this consists of netting or fencing to keep predators out, through to CCTV to give protection against criminals. We are not so badly off in the UK as some of my friends are in the USA. You might think they have the same problems as we do with our fish eating mammals, because its the same for us as them (different but the same you might say). Yes the answer to “how to protect koi from raccoons” and “how to protect koi from otters” might be similar. But depending on the US state people can suffer from predation by much larger predators, such as bears, mountain lions and even alligators! Unfortunately, once predators have found a good source of accessible food they will return and systematically clear out a pond until there is little or nothing left. The Blue Heron one of the garden pond fish predators that are worldwide. After hearing about these large fish eating predators its easy to answer our common UK pond predator questions like “how to keep herons away from garden ponds” or “how to keep birds away from fish pond”. Otters are becoming an increasingly common sight in the UK countryside as their numbers have increased quite dramatically in the last few decades. This is great news for our environment, but otters can make short work of even the largest koi if they visit your pond. Electrified otter fencing is the only solution to keep otters at bay. Mink are not as big a problem as they used to be as numbers have fallen, but once again they can cause devastation to a pond in a short period of time if not preventative measures are taken. 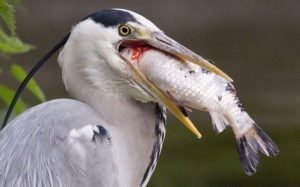 Herons are a common problem, but one that it thankfully normally quite easy to solve. Installing a ‘fish cave’, which can be as simple as a piece of large pipe, gives the fish a refuge from the large gangly birds. Ponds can be designed to help prevent predation. Steep vertical sides and enough water depth for the fish to be safe from herons and other birds is a good idea. 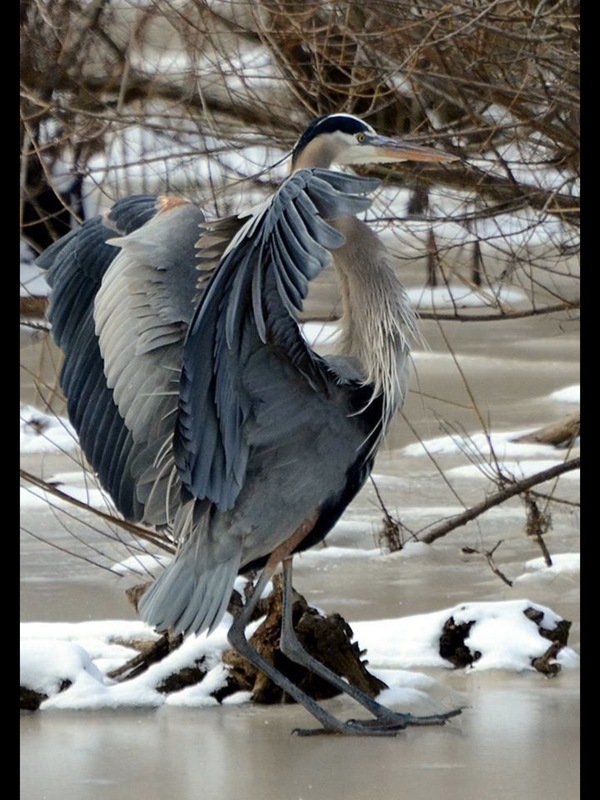 Stocking with larger fish will also thwart herons. 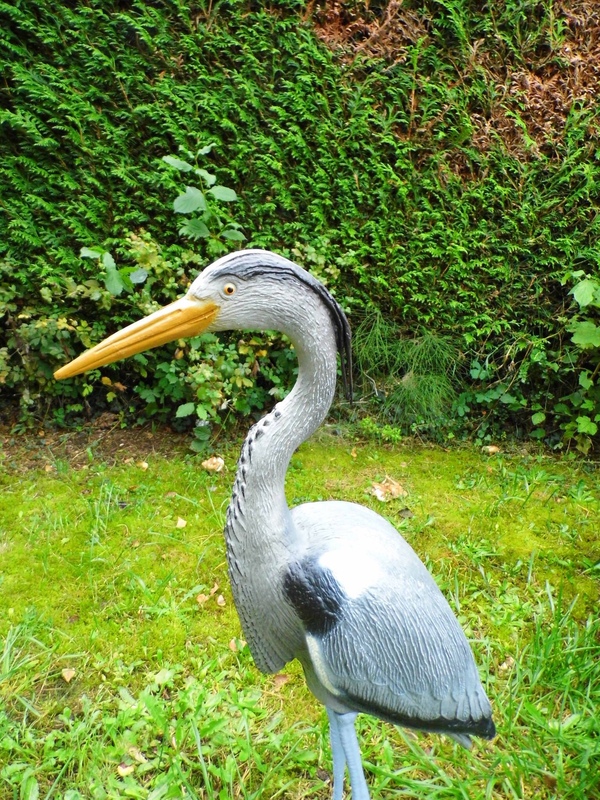 There are also a number of devices on the market to deter herons. 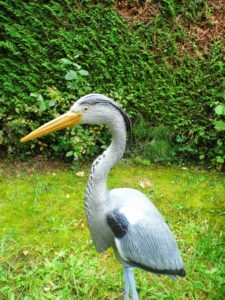 For many years pond owners have used plastic herons as a visual deterrent for other herons. 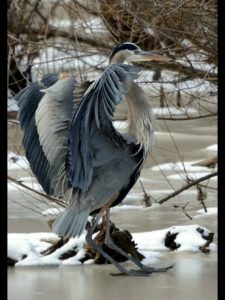 Alternatively, a few strands of fishing line suspended around the perimeter of the pond will stop herons from gaining access and be almost invisible. Other predator deterrents include motion detectors that set-off bright flash lights to scare away predators and other electronic devices that send out an ultrasonic sound that is out of the range of human hearing. Whatever the devices you use to deter predators it is always a wise back-up to have some refuges in the pond as well, as adding plastic pipes can cost very little and will give the fish some respite from the determined predator. Adding rocks, planted areas and fish caves will all help to protect your fish. As a rule of thumb, if I think it is difficult for the pond owner to catch their fish then the chances are that it will be difficult for predators to also do so. But if the fish can’t hide then what chance do they have? When left to their own devices predators can cause heartbreak as they will take fish whether large or small, cheap or expensive, but fortunately there are plenty of measures that you can implement to protect your precious fish.